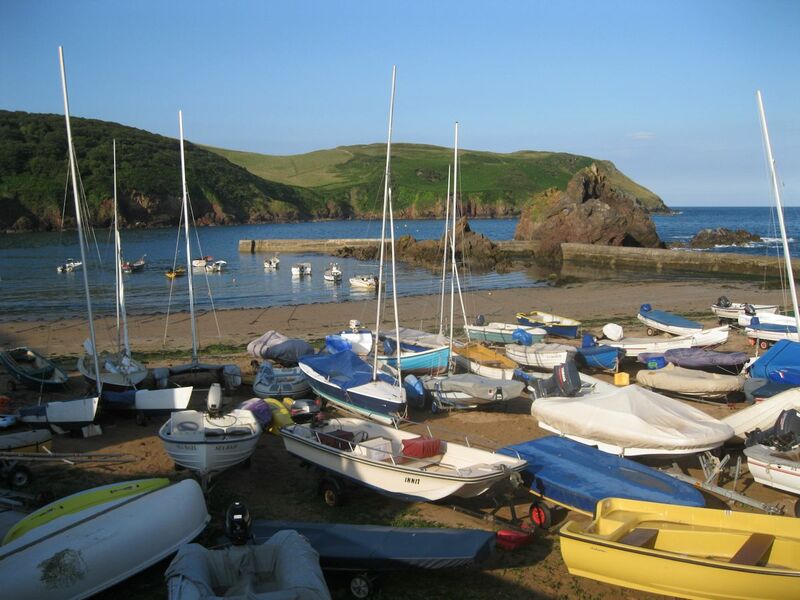 In the 18th Century, the cove was used by fishermen and old records show that were a considerable number of boats launched from the beach, with larger vessels taking shelter in the bay. Some of these fishermen would have had a welcome additional income from smuggling which continued on a regular basis until the end of the 19th century. Hope Cove consists of the two villages, Inner and Outer Hope (Old English for a small enclosed valley). Originally a small fishing and crabbing village, Inner Hope remains much as it was centuries ago. The Commissioners are responsible for supervision of harbour and beach launching and safety, as well as maintenance of the sea wall and slipway.